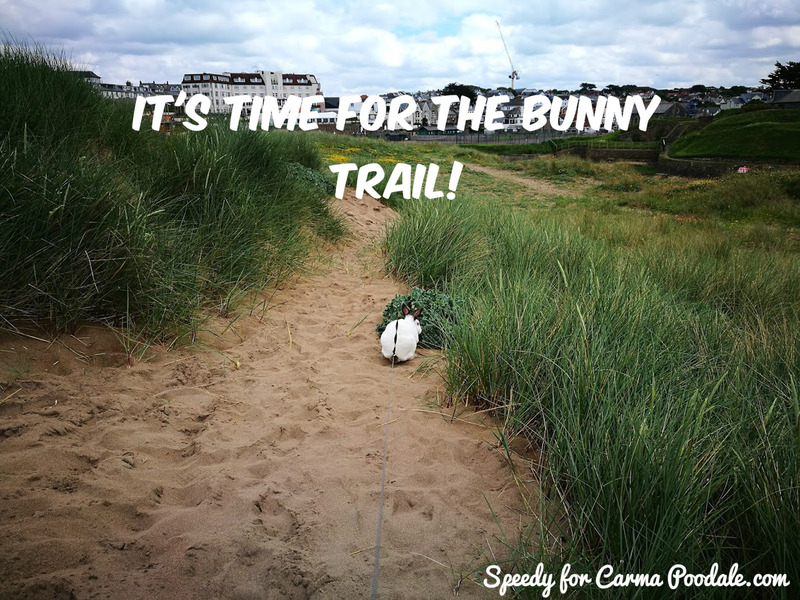 Just A funny one today....Who's for joining me down the Bunny Trail?Summer is Here and that means time for fun adventures for us all and I can't wait for all the action!Have you been on any fun adventures yet? Hi Everyone!Its me again Speedy your roving reporter here at Carma Poodale.com.Yep its Bunny jail time again.....Nah not really this is Me at in an outside pen in my Uncle Colin's garden,enjoying some garden time in the nice weather.I was there for a couple of weeks while my peeps were away on vacation or Holiday as we call it in the UK. 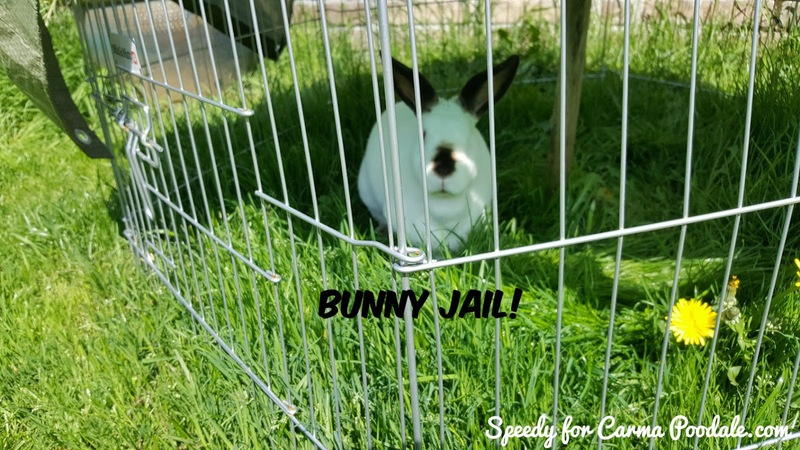 Its quite important when your peeps go on Vacation that your peeps find the right care provider for you so that you have a great time while they are away and they have a great time without having to worry if we are OK. 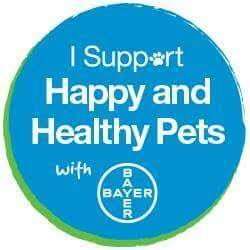 So whether they go for a pet hotel,kennel,cattery, or a pet sitter or just a trusted friend.They need to check out that the care provider is capable to look after you and has access to either your own vet or they have access to a great vet in case something goes wrong and you get poorly or have an accident. Make sure your peeps do lots of research on their care provider and have and emergency plan set up in case the need arises that way everyone has a worry free time during Vacation times. Bunny Meme.....its bug time again! 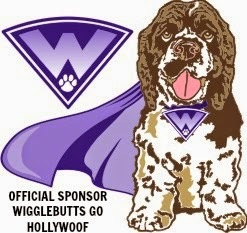 Hi everyone its me again!We have a serious topic today.Now that Spring has started to arrive and warm things up again it time for the peeps to think about protecting us from all sorts of creep crawlies like tick's ,flea's and mite's.Just make sure you get the right treatment for the right pet because some treatments are dangerous to us if you get the wrong ones,so make sure if you have a cat or a dog or and a rabbit that it is safe to use on that anipal.My Mum has started me on a course of Ivermectin from the vets for me because I have picked up a few mites which make me scratch and did my ears.....very irritating I can tell you! How ever it is nice to have some nice warm days now instead of having to wrap up to go out. Thought I would share a few current photos. The photo on the left was taken a few days after Colby came home with me. He was a little bigger than Scooby but only by a few inches. The photo on the right was taken yesterday. 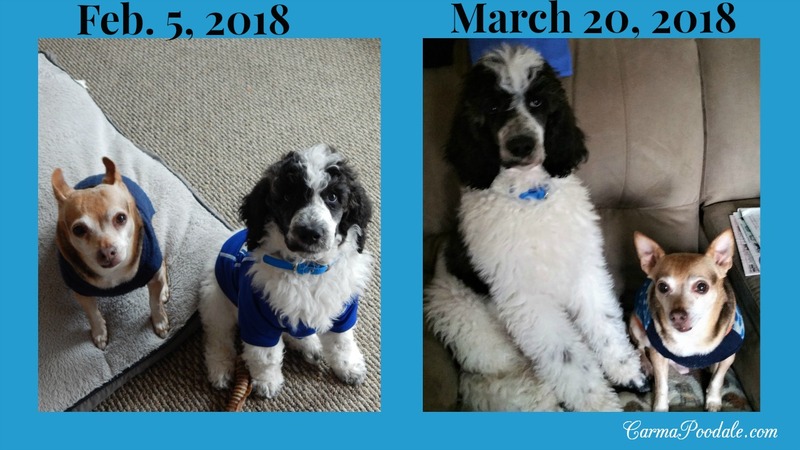 I think Colby may have grown a little, don't you? 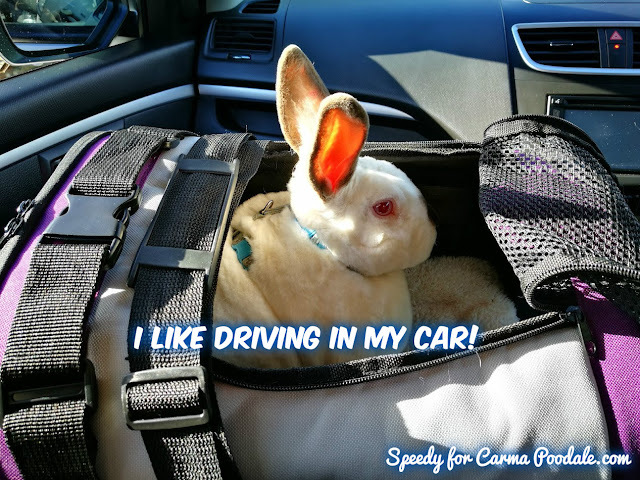 Bunny Meme:I like driving in my car! While its True most Bunnies don't like to travel or be picked up or carried there are always exceptions to the rule.....Like me and a few of my other bunny pals! Me I can say without a doubt that I like Driving In My Car!Do you like to travel with your parents or do you hate the car? 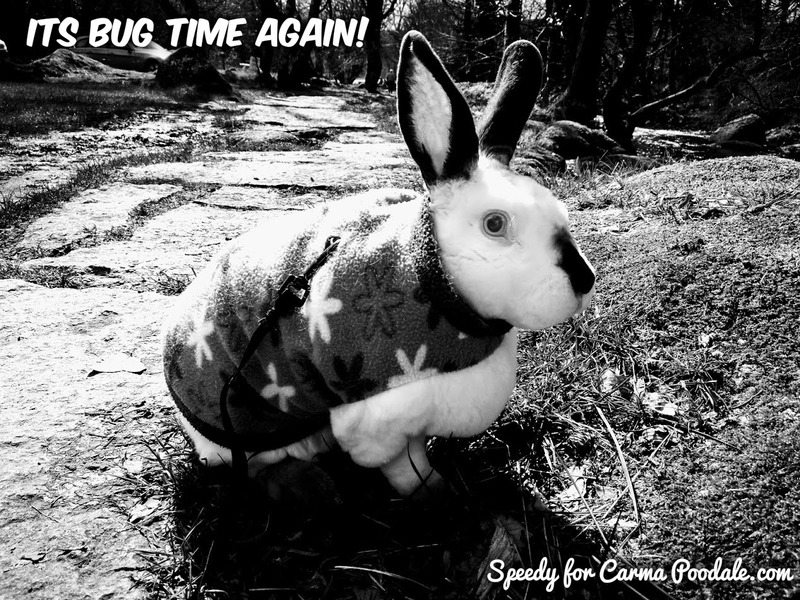 Hi everyone I'm back again now that my mum has gotten rid of her cold I thought we should try to get back to work again on my job as roving reporter for Carma Poodale.com and Aunty Bunny. 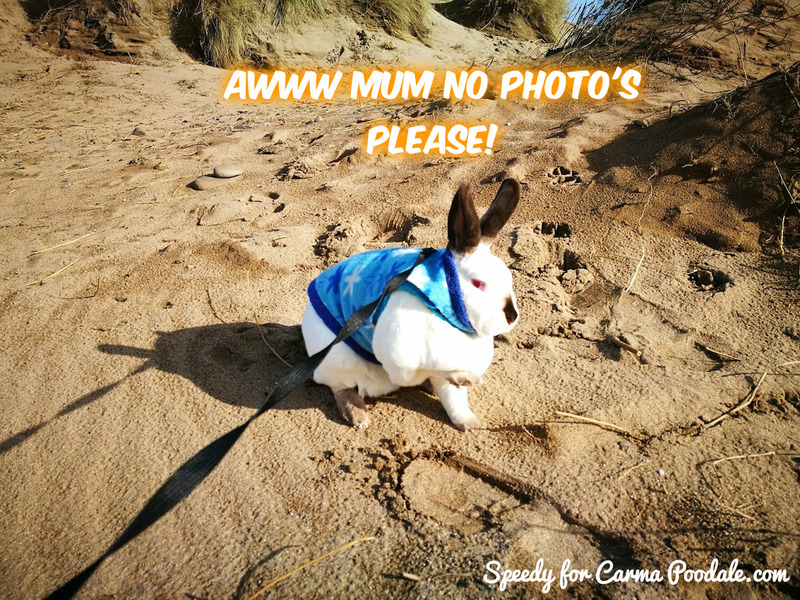 Now Don't you just hate it when our peeps are always waiting with the flash box to snap our photos even when we aren't ready?Well my mum took this one when I was so not ready at the beach a couple of weeks ago!I told her no but she took it anyway.But I still had a lot of fun hopping about the dunes. 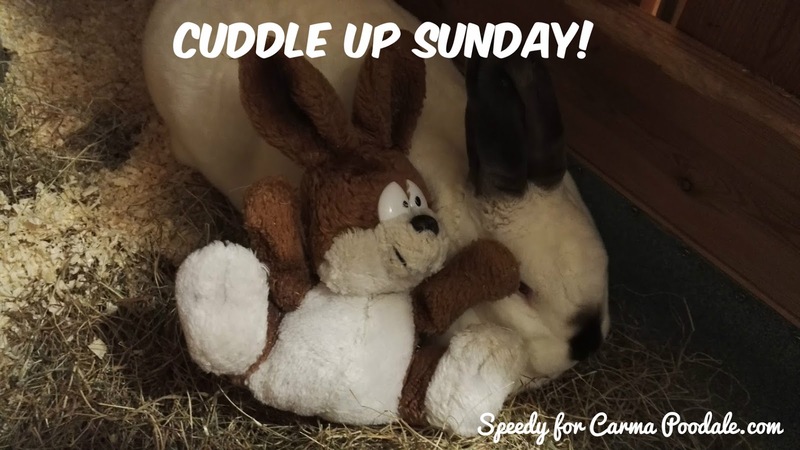 Hi everyone Speedy Here!I know its been a while since I did one of these here at Carma Poodale But Mummy thought I had better get back to work and I was like Oh Mummy I just wanna cuddle up today....So here's me cuddling with my bunny stuff pal.Did you know that in general Rabbits don't liked to be picked up and cuddled but we do like to snuggle with our pals how ever I do like to be picked up for cuddles but the best place for me to cuddle with mummy is tucked in tight with her in bed before its my bedtime.....hehehe I'm just a cuddle muffin but Shhh don't tell everyone after all I do have my Pirate rep to protect after all!